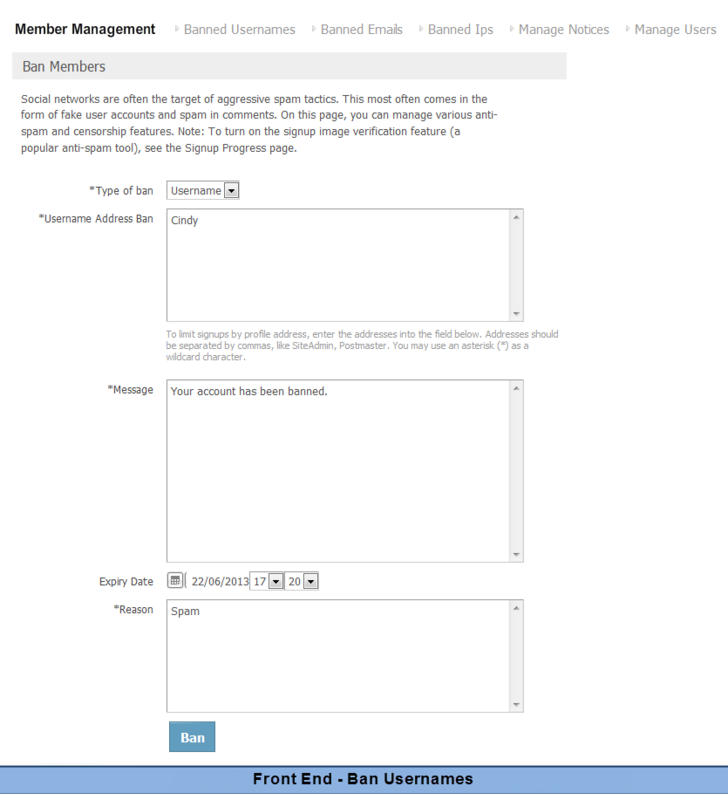 If you are an admin of a social network, Member Management will be an excellent tool for you to manage your members more effectively. 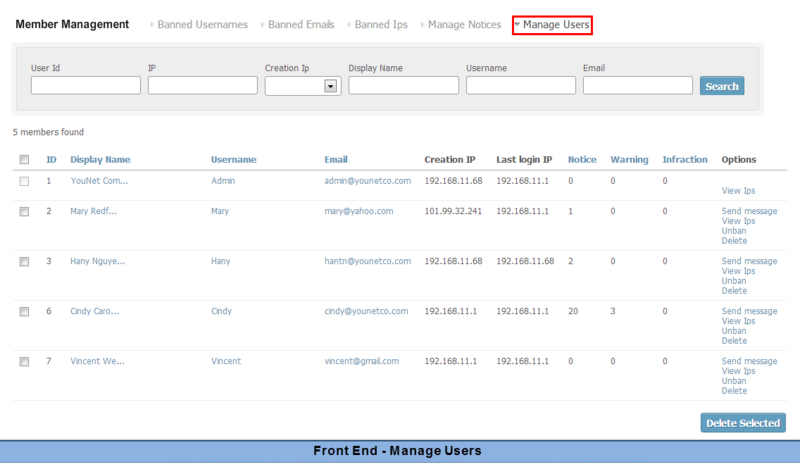 This plug-in provides you with multiple methods to manage your members by using usernames, email addresses and IPs. 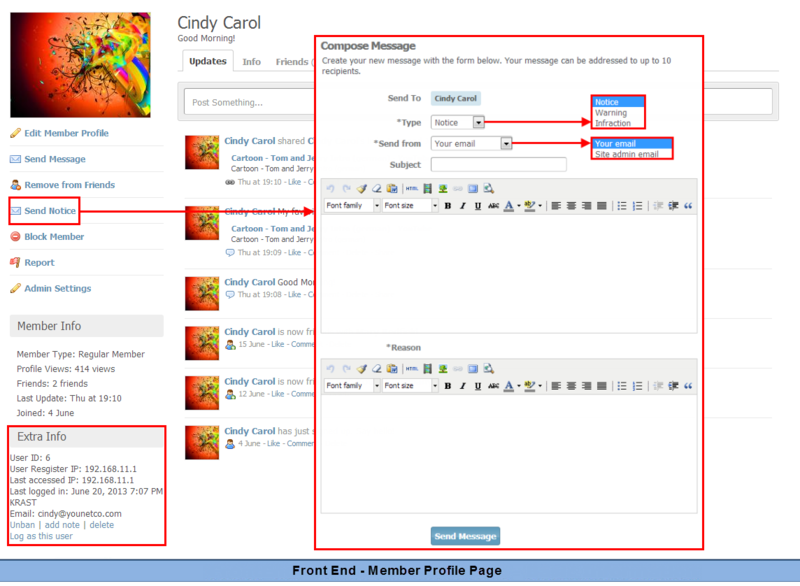 With Member Management, you are able to save your time and effort by granting management member permission to any other member levels. 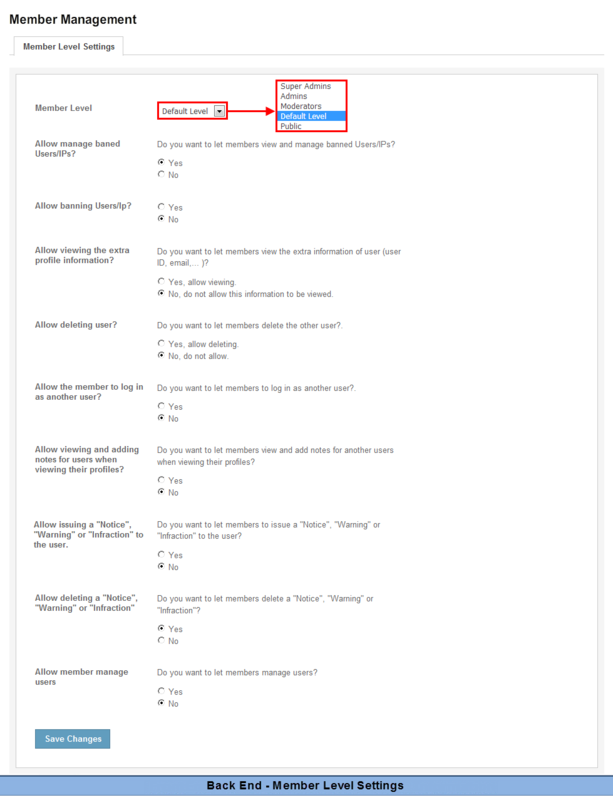 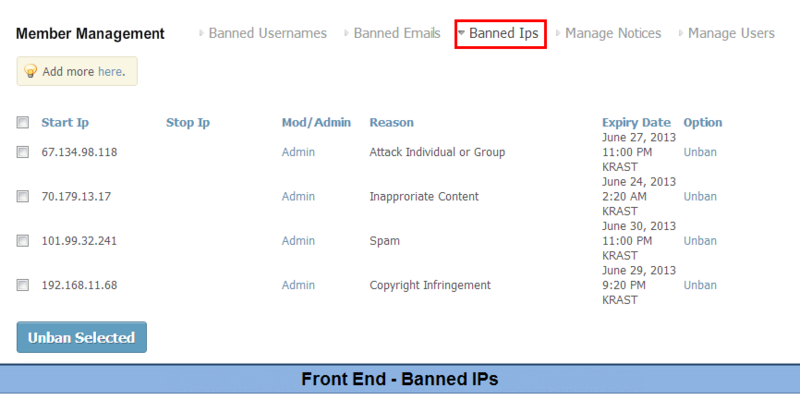 In addition, this tool also enables admin/moderator to send notice or warning message to each member or even BAN/UNBAN a member. 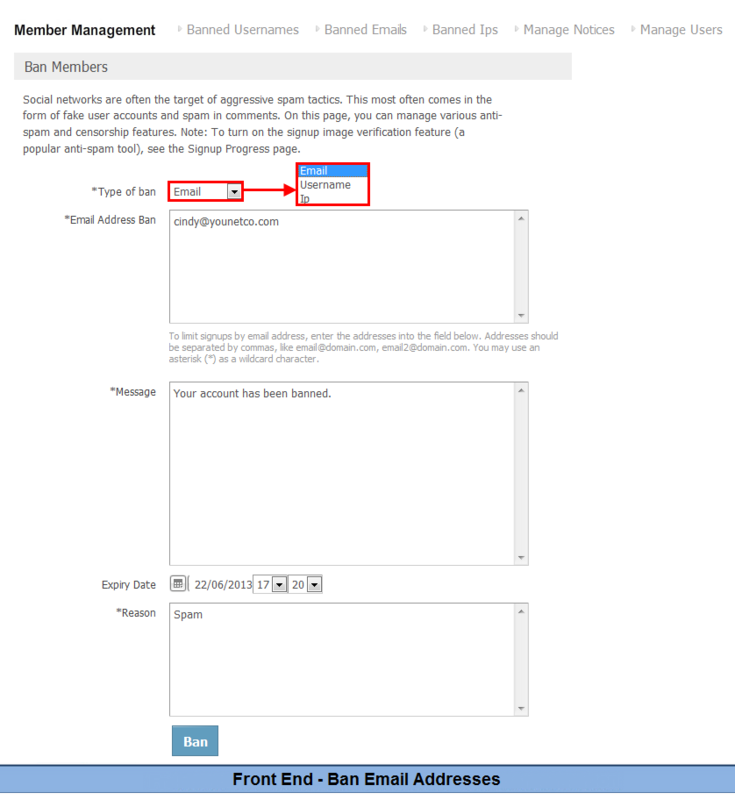 Member Management not only improves your effectiveness in managing your members but also helps you prevent spam activities and increase the quality of content in your social network. 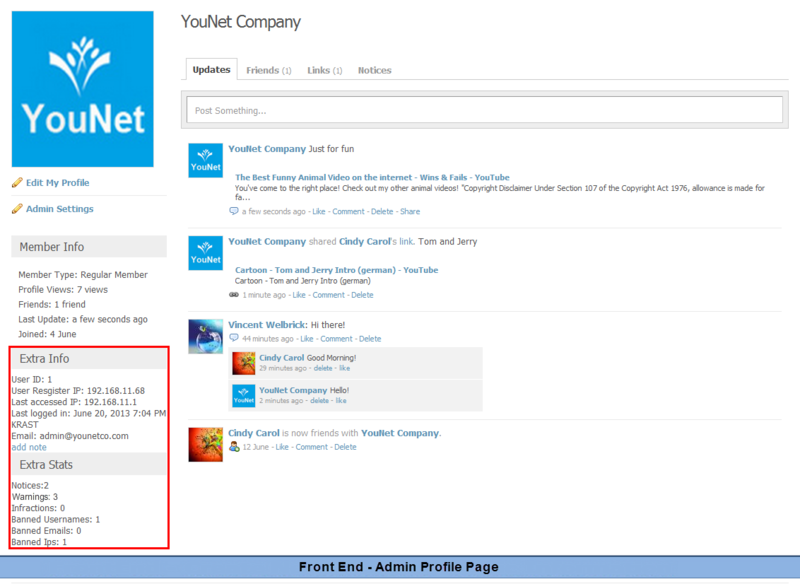 License key and YouNetCore plug-in could be found under your Client Area. 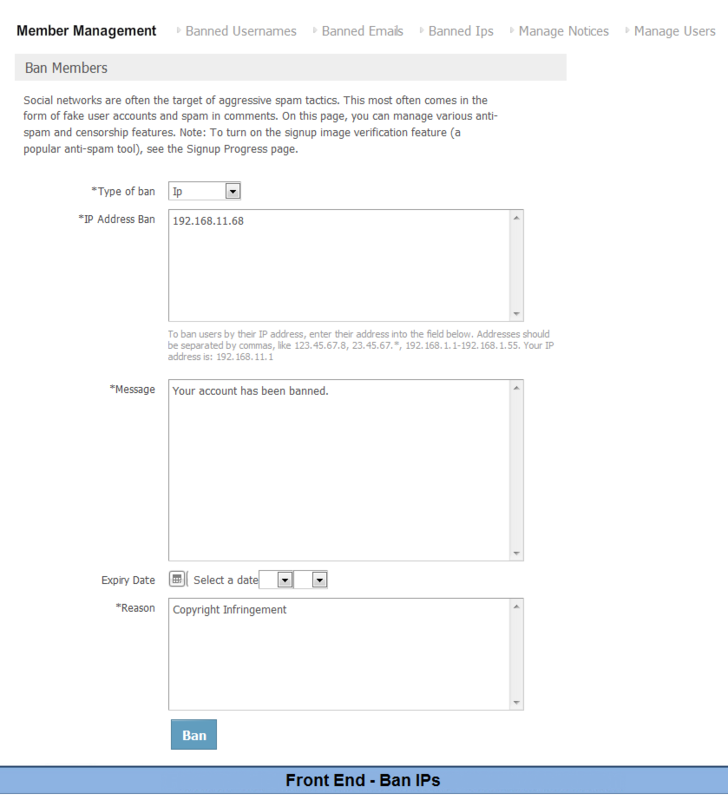 Demo http://socialengine4.demo.younetco.com - for BAN feature, please check out Photo sections.